The fourth generation was unveiled on October 7, 2013 in New York. It began production in 2014, but buyers will have the possibility of purchasing it beginning with April 2015. The 2015 Cadillac Escalade is a 4-door SUV, which comes equipped with an amazing 6.2 liter EcoTec3 V8 engine, responsible for producing an amazing horsepower of 420. It does great in fuel economy, in spite of its size: 21 mpg on the highway. And yet, it still cannot compete with a previous model belonging to Cadillac, the hybrid ELR. The vehicle comes in two variants, a Full Size and an ESV. While the first alternative can be purchased for an average price of $71,000, the second will make you spend around $74,000. The sum of money you will have to get out of your bank account to own this baby suggests that it is truly a luxury SUV. As for the design of the Escalade, let’s take it step by step. The exterior features a wide and thrilling facade, but, as The Car Connection is keen on declaring, it’s the LED lights that make up most of the charm of the vehicle. Driven during the night, this auto is a sight for sore eyes. LEDs seem to come out of everywhere: the front line features a set of lights on the nose, and the rear dons a set of taillights that will sweep you off your feet. Wondering about the interior? 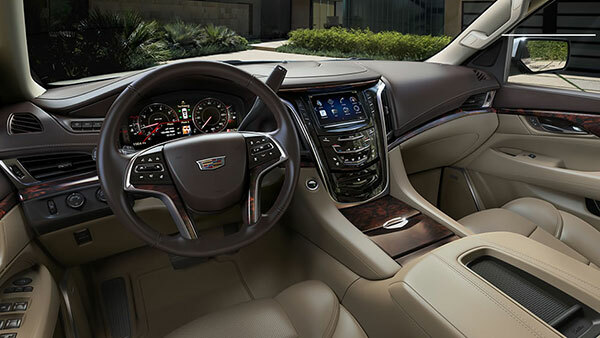 We’ll simply tell you that you risk falling in love with the Escalade, after setting foot inside it. In order to create the perfect tapestry, manufacturers combined both leather and suede. The interior is largely customizable when it comes to colors, but we recommend you choose an earthy one, such as light brown. The board comes with an amazing touchscreen system, which can be used for anything from navigating to surfing the web. In fact, the tablet goes by the name of CUE system and is personally developed and designed by the team at General Motors. As we were saying in the beginning of the article, the Escalade comes in 2 variants, the standard and the ESV. The latter is 224 inches long, while the former has a length of 204 inches. 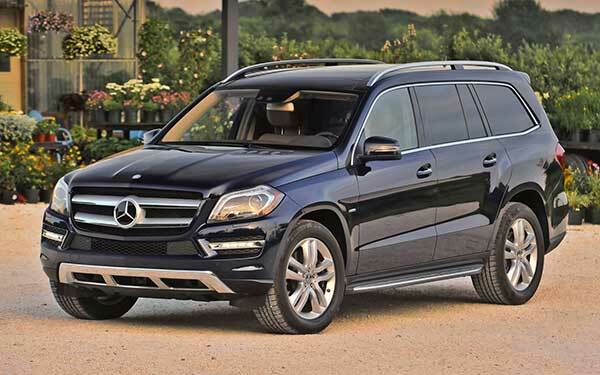 There could not be a better definition of this automobile: it is a truly spacious SUV. The Insurance Institute for Highway Safety once claimed that driver safety roughly depends on the size of a car. Consequently, if you purchase the new 2015 Cadillac Escalade, you won’t have any reason to be worrying about collisions. Even if you are involved in an accident (although we clearly could not wish that for anyone), there are very small chances you end up with a bruise. Therefore, if you want to pay the base price for an Escalade, you’ll get the basic set of safety features. However, if you do not personally enjoy taking any risk, it will cost you a little over $4,000 to turn this auto into an almost invincible ride. It may be pricier, but it will come with an automated braking system and a series of alerts, such as Lane-Change Alert, Side Blind-Zone Alert and Rear Cross-Traffic Alert. In fact, one of these lets the driver know when there is a possibility of an accident occurring and it does this by vibrating the seat. How does the Cadillac Escalade compare to other Top Competitors? 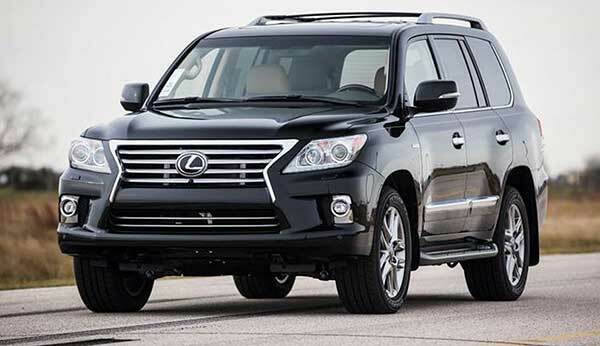 The Lexus LX 570 is a worthy opponent of the Escalade. Although it is clearly more expensive, with prices starting at $76,500, it offers a fuel economy of 12 mpg, thanks to the same V8 engine. However, the Cadillac is doing even better in fuel efficiency, with an average of 13 mpg in the city and 18 on the highway. As for horsepower, the Lexus offers 383, while the Cadillac is a little more impressive, in virtue of its 403 hp. 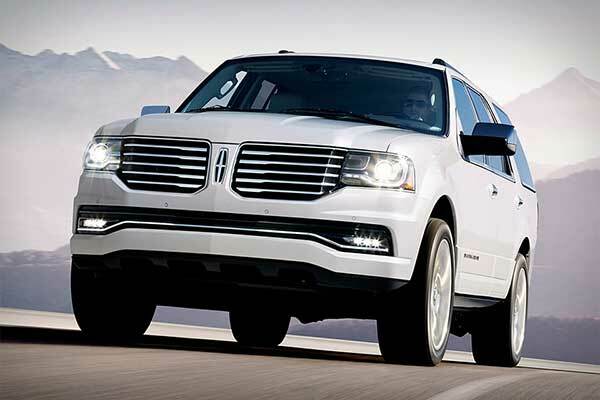 The 2015 Lincoln Navigator is another similar option and it resembles the Escalade so much that it also comes with the same V8 engine. The latter is a bit smaller, having a capacity of 3.5 liters and delivering a horsepower of 370. It can still go from 0 to 60 miles in a matter of 8.3 seconds. It’s a sizeable vehicle and it fits more than 5 individuals at a time, but it is said that developers haven’t used their inspiration in creating the Navigator. Some reviewers claim they exhausted their idea when they put together the MKZ or the MKC. 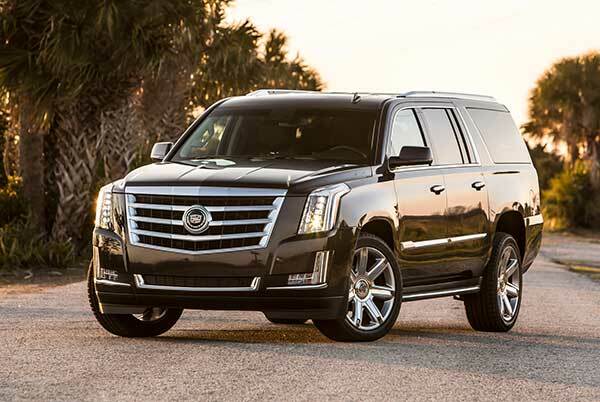 To sum up, we’ll tell you that if you’re interested in power, you should pick the 2015 Cadillac Escalade. If, on the other hand, aren’t that keen on massive automobiles, choose the first model. As for the Mercedes-Benz GL450, according to CarsDirect it lacks a number of advantages that are otherwise offered by the Escalade. Its interior space is less sizable, but it does come with a satisfactory room for 5 individuals. The Mercedes has a big plus in fuel efficiency, with an economy of 17 mpg inside the city and 21 mpg on the highway. Its exterior design is less massive and it’s a top luxury vehicle that can be purchased for an approximate price of $66,500. 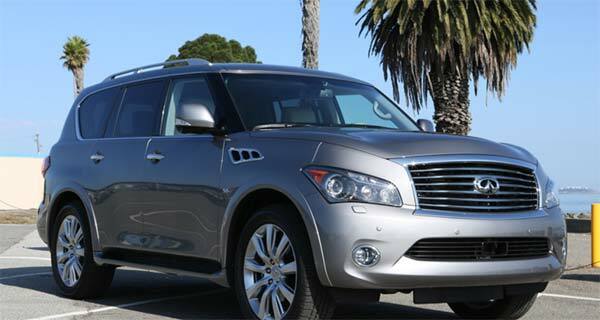 Competition is tough for the Escalade, with yet another amazing rival: the Infiniti QX80. This one has the same V8 engine, handles well on the town, but when compared to the fuel economy of the Cadillac, it’s less efficient and clearly more thirsty for gas – 14 mpg inside the city and 20 on the highway. In the past, the Infiniti has been compared to a Jeep Grand Cherokee or a Lincoln MKT and we’ll say it certainly looks like a posh ride. Its smooth lines and sleek curves make it look irresistible in the eyes of any SUV fan. And if you want space, choose this automobile, because its interior comfortably fits 7 individuals. If you want to own this baby, you have to spend between $62,500 and $66,000. 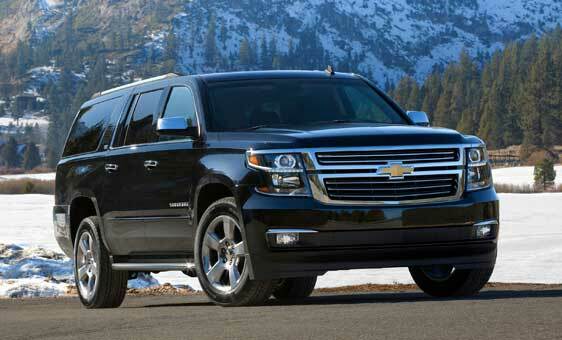 Another model which the Cadillac Escalade has been compared to is the 2015 Chevrolet Suburban. This one comes at an obviously super-friendly price: only $45,000. We have to remind you that the Cadillac can be purchased for around $70,000. 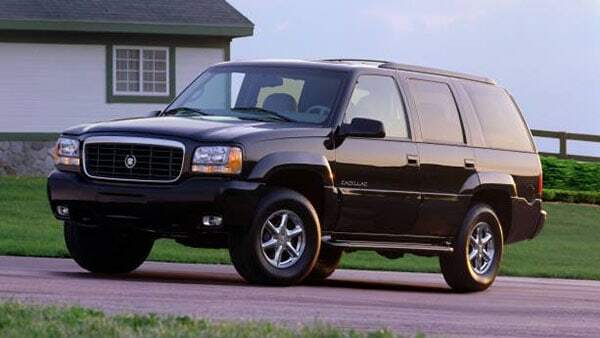 The Suburban features the same V8 engine, that apparently became the most important measure of comparison. However, the one featured by the Suburban is smaller, having a capacity of only 5.3 liters. The Suburban does a wonderful job when it comes to fuel economy, with a 16 mpg inside the city and 23 on the highway. Oddly enough, the Suburban is heavier than the Escalade, with a 4400 lbs weight, compared to the 4200 lbs belonging to the Cadillac. In safety tests, both automobiles tested well and gathered between 4 and 5 stars. The only security issue that was discovered in the case of both vehicles was the rollover rating, which made reviewers award them with only 3 stars out of 5. Although we’re not especially keen on making comparisons between models that have been launched in different years, we’ve decided to try this for the 2014 Range Rover. 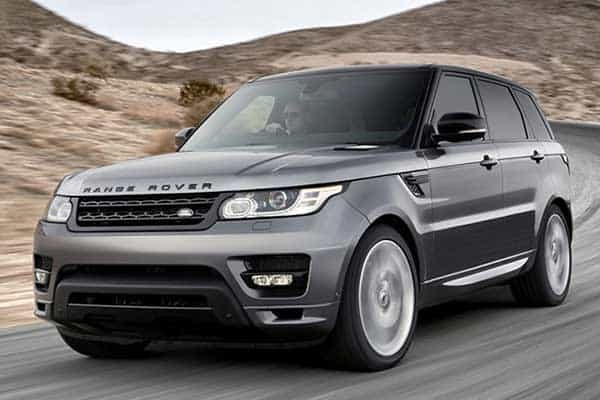 For a long time, the Range Rover was the top favorite choice of buyers of large luxury automobiles. The 2015 Cadillac Escalade plans to take over the throne and this will probably occur thanks to its exterior design. The looks of the new Escalade have been acclaimed by various reviewers, particularly because, until now, the company hasn’t focused its efforts on developing a beautiful car. The most impressive change in the interior design of the Escalade is the fact that it finally features wood and high-quality leather. As for specs, the Caddy overpowers the Range Rover, because the latter features a 3.0-liter V6 engine, which produces only 335 hp. These figures look sad when compared with the 6.2-liter V8 420 hp-generating engine of the 2015 Escalade. Lastly, the price is another standard that makes the difference between the two models. Range Rovers start at $83,500 and can go up to $136,000. Escalades can be bought for a base price of $65,000. Fully equipped variants can end up costing more than $81,000, but this figure isn’t so scary as the price of a Range Rover. 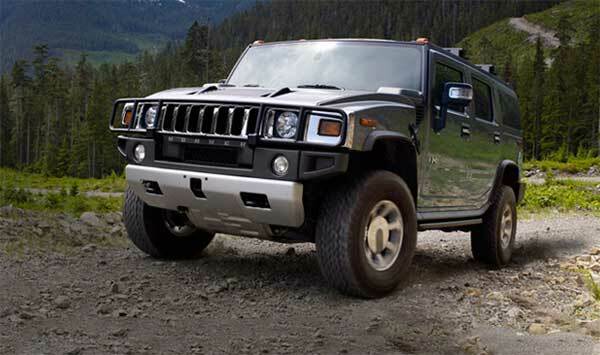 We’ll end the series of comparisons with an extraordinary exponent, the 2015 Hummer H2. This one’s an obviously American vehicle and although Hummers have come a long way from making Uncle Sam ashamed from owning one, they still don the same ‘square’ design. Luckily, the H2 comes with an improved design, a better engine (also a V8) and an increased horsepower (393). Still, it cannot be compared to the Escalade. The only memorable advantage of choosing a Hummer over a Cadillac is its price – it can be bought for $32,000 in the base model. The 2015 Cadillac Escalade is a purely Southern car and its manufacturing location accounts for this statement: Arlington, Texas. Rumor has it that in 2016, General Motors will launch yet another model of the Cadillac Escalade, which will become the company’s first 3-row CUV car. Who knows what other specs will the new model have?